Avery Products adds proprietary Sure Feed™ technology to its portfolio to optimize printing and reduce the waste of labels, ink and time. Sure Feed not only addresses a true pain point around misalignment, but it also continues to make the Avery products distinct as a brand. Avery Products Corporation, the world’s largest provider of labels and short-run label printing and software solutions, has added another innovative feature called Sure Feed™ technology to its full-sheet label portfolio. This proprietary product enhancement is engineered into the label sheets to deliver a more reliable feed through printers by preventing misalignments and jams. In recent usage tests, consumers rated the Avery product as superior to all other labels they have used, enabling them to print with confidence and hassle-free. Reducing the amount of wasted labels and resources provides an intrinsic value for consumers and sets the Avery brand apart from its competitors. A trusted name in the label business, Avery has more than 80 years of pressure-sensitive material design, development and manufacturing expertise. All Avery products are rigorously tested to stringent standards and optimized for best-in-class performance. Their vast and diverse portfolio of labeling solutions features industry-leading technology to provide quality, reliability and performance consumers have come to rely on from the Avery brand. 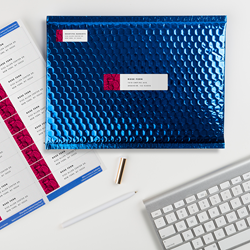 Innovations such as Easy Peel® label sheets with the Pop-up Edge® make labels easy to peel and quick to apply, and labels with TrueBlock® technology completely cover up surfaces allowing for clean imagery, text and barcoding. Select labels with Sure Feed technology are available as of June 2018 for both laser and inkjet printers, and Sure Feed technology will be added to additional popular Avery labels. Look for the Sure Feed logo on Avery Labels packaging, and experience the difference for yourself. To learn more, visit avery.com/surefeed. 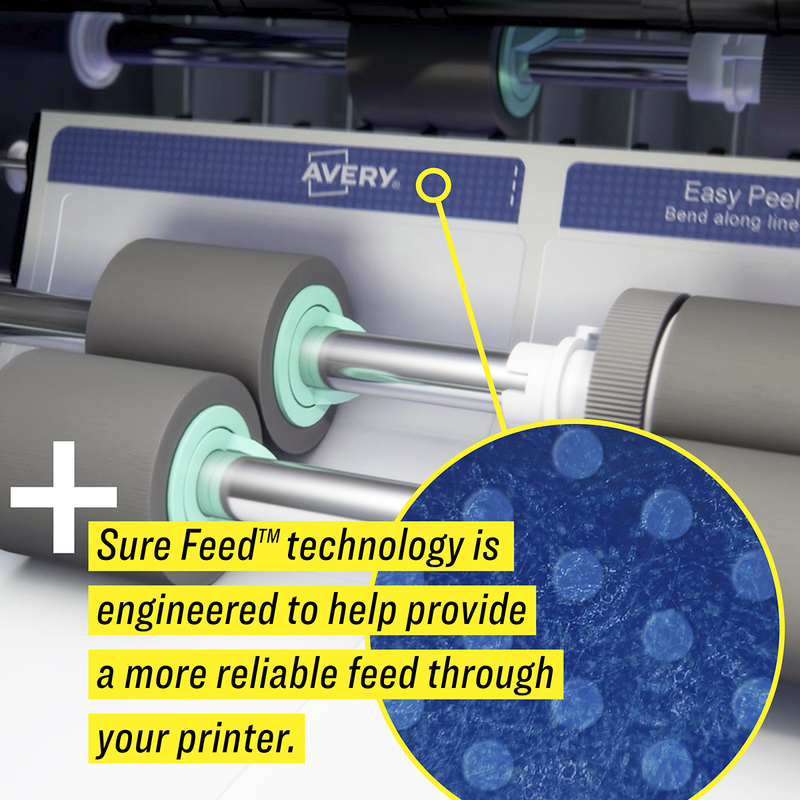 Introducing Avery® Labels with Sure Feed™ TechnologyThis proprietary product enhancement is engineered into the label sheets to deliver a more reliable feed through printers by preventing misalignments and jams.